If traveling has become a part of your professional life, then you might want to charter a private flight on your next trips. Your constant traveling may have made you get used to standing in long lines, dealing with luggage check-ins and thoughtless passengers, but you can’t just accept that it is your fate to be in such inconvenience, right? Thus, on your next business trip to Montgomery, Alabama or to any other destination in the world, charter a private jet plane through Charter Flight Group. You will see that a chartered private flight makes perfect sense. With Charter Flight Group, you will find a jet plane that will not only take you to your destination but do so with superb style and prestige. The luxury and the convenience that we offer is extraordinary and no other private charter company can offer you the same private aircraft option that we do. We start by going through your travel requirements – from the size of your group down to each and every traveling request that you may have for your chartered private jet. With more than 100 private aircraft in our database, we are certain that you will find a private jet plane that will suit your preferences. Aside from variety, We also guarantees availability, and that we assure you that our private aircraft are available on demand, wherever you want it, whenever you want it. For instance, if you plan to charter a private flight to Montgomery for an emergency business convention you and your corporate entourage can charter the Westwind jet plane – a mid-sized private aircraft that can comfortably accommodate you and 5 more of your business colleagues. You will not only enjoy complete privacy and the convenience of having a meeting during the flight but also the gourmet meals, luxurious amenities and the one-of-a-kind in-flight service. But aside from making sure that your chartered flight will be luxurious and convenient for you and your travel mates, we can also vouch for your safety and security. Not only that we make sure that you only fly with highly-trained and well-experienced staff and crew, we also make sure that your private aircraft has passed the high quality standards of Wyvern and the Aircraft Research Group of the United States (ARGUS), aside from passing the regulations of the United States government through the Federal Aviation Administration (FAA). Here at CFG, your safety is our topmost priority and you will never find any irregularity issue with regards to our jet planes and even with our in-flight services and crew performance. So fly hassle-free in a chartered private aircraft, fly with the best in the charter flight company, fly with Charter Flight Group. On your next private charter flight to Montgomery, you will be landing on the same airport where you used to land aboard your commercial airline flight – in Montgomery Regional Airport (KMGM). This airport is also popularly known as the Dannelly Field since it is a joint civil-military airport. 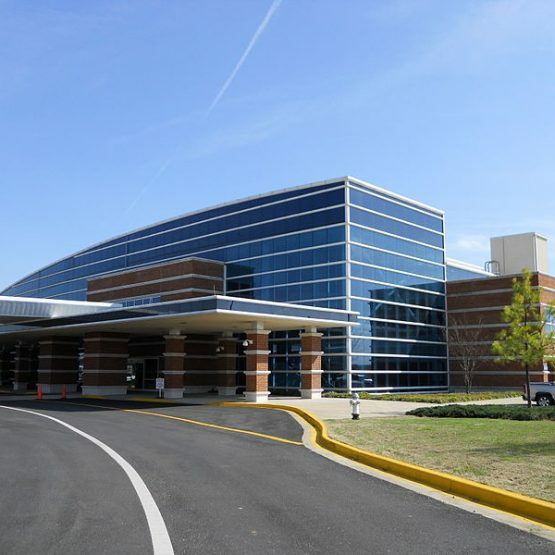 Montgomery Regional Airport is conveniently located six miles southwest of Montgomery downtown and thus, it is strategic gateway for businesses to the city and from the city to the rest of the world. As the capital city of Alabama, Montgomery served as the center of the state’s trade and commerce. 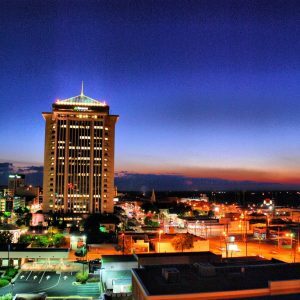 Businesses thrive in Montgomery and so if your chartered private flight to Montgomery is to expand your business, then you came to the right place. Montgomery is a largely considered as a constituency of massive economic diversity and wide-ranging service industry, tourism, wholesale, retail, and even for manufacturing industry. This diversity of industries gives Montgomery a well-balanced economic atmosphere which favors businessmen and investors alike. However, if your chartered private flight to Montgomery is everything but business, then you must be planning to have fun in the exciting combination of tourist attractions that is unique to Montgomery. In this city, you will find museums that are built for music icons and civil right leaders. You may also join year-round happenings such as street festivities and classical entertainments. If you want to have fun under the stars, you can take advantage of a pulsating nightlife right on the banks of the Alabama River. Whatever you feel like doing, you’ll find it in Montgomery. With a right blend of international attitude and southern appeal, you will always find something that you’ll want to try in Montgomery, Alabama. Why Choose Charter Flight Group for Your Charter Jet to Montgomery? Charter Flight Group is the leading charter flight company in the United States. With locations and services around the world, we can surely be your private jet company on-demand. If you need a highly dependable private charter flight, topped with unparalleled customer service and in-flight services, plus the luxury and convenience that only comes with our signature amenities and facilities, then go CFG now. You will not only get a reliable and safe chartered private flight to Montgomery, Alabama or to any other destination in the world but you will also find a private aircraft that will suit your preferences at a very reasonable price. So don’t dilly-dally on your next business trip, book your private charter flight now.